Specially designed for D.R. Harris. 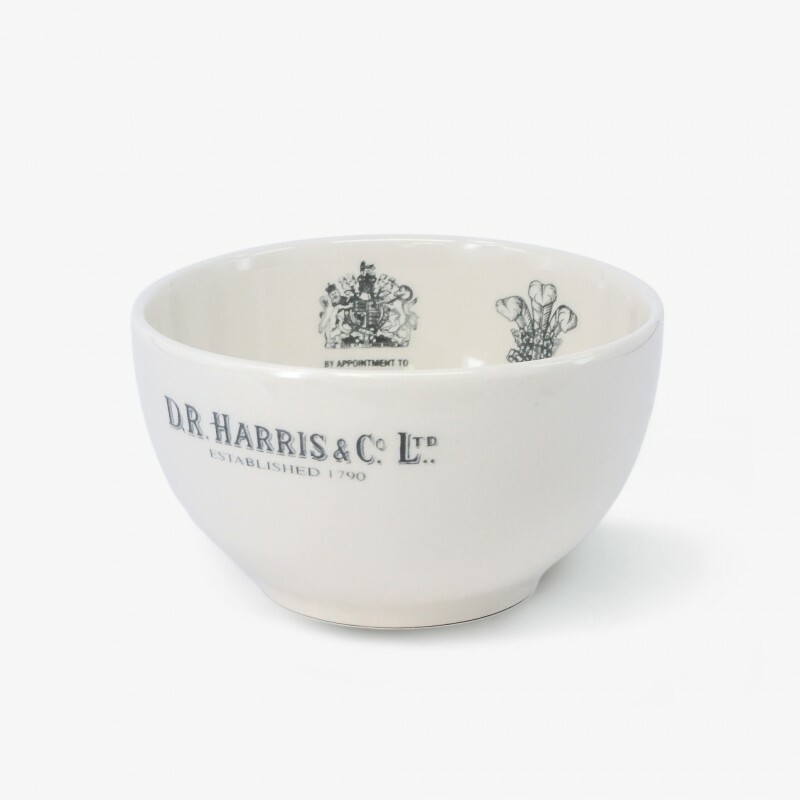 This porcelain shaving bowl allows the shaver to produce a thick lather and store for further passes. When submerged in hot water before use, this bowl will help to create a warm lather which will stay warm. Designed and made for D.R. Harris in Stoke-on-Trent by Burleigh at their Victorian factory, Middleport Pottery, this beautiful bowl recaptures the elegance of wet shaving.